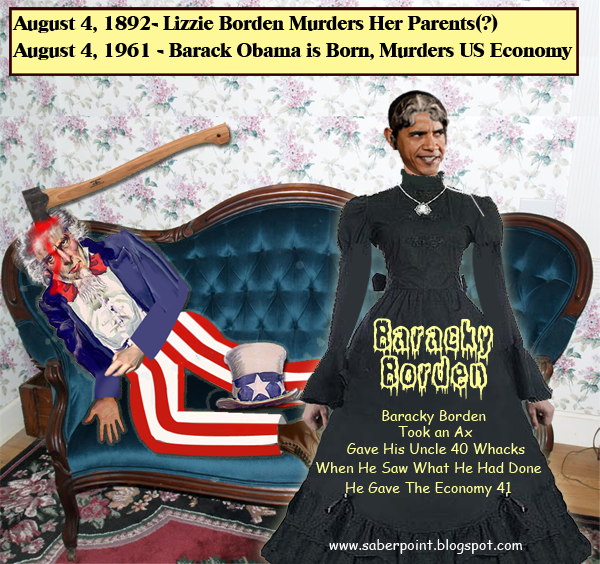 August 4, Obama's birthday, is also known as Lizzie Borden Day. One thing, the burka was missed out from the illustration... otherwise you could add the rest of the free world. I was more focused on what BHO is doing to America when I suggested the idea for the graphic to Stogie.